Located within chipping distance of the Russian River and approximately 90 minutes north of San Francisco, Northwood GC is a spectacular nine-hole layout offering narrow left/right dogleg fairways weaving meticulously through tightly knit rows of 150-foot tall Redwoods. This tree-knocker course (think pinball machine) has been around since 1928, when it was built for the exclusive Bohemian Club yet, 87 years later, it still manages to maintain a low profile on the Northern California golf radar. 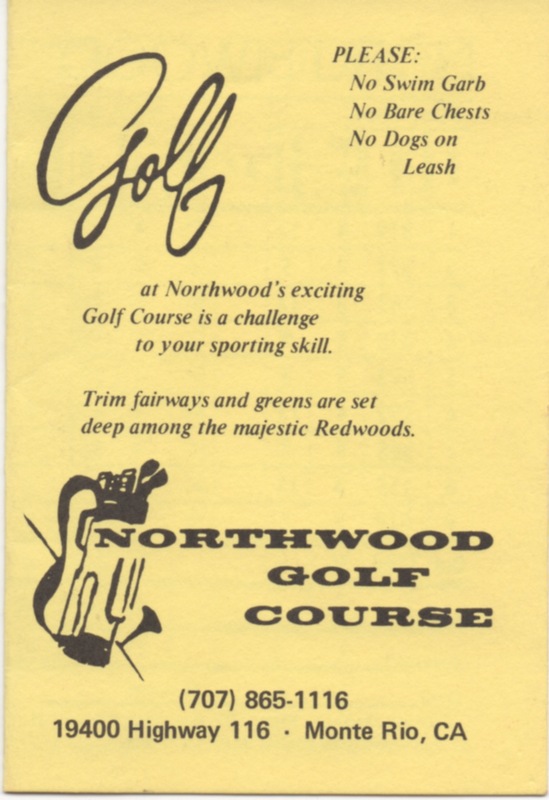 That’s good news for locals who probably have pet names for every Redwood tree they’ve ever ricocheted a golf ball off of and sad news for those who haven’t yet discovered this Alister MacKenzie gem built on 70 wooded acres. Yes, the same renowned designer responsible Cypress Point and Augusta National, plus a slew of other world-class courses around the planet. Right out the gate, unless you’re able to bend a 290-yard drive right to left to reach the green, you’ll catch on real quick which clubs will be needed to strategically maneuver the ball around the well-groomed fairways. In fact, depending upon how far you smack the ball off the tee, the driver might only be needed on the two par fives – the 464-yard 5th and the 533-yard 9th. Otherwise, the rest of the fairways consist of five par fours and a couple par threes. There are many incredible one-of-a-kind California golf experiences but for the value and the opportunity to play amongst nature’s giants, there is no better nine-hole course than Northwood GC that could have provided me a more memorable set of bookend rounds to an incredible year of golf. So, although it took 361 days to play the 18 holes, the pace and company was worth the wait.